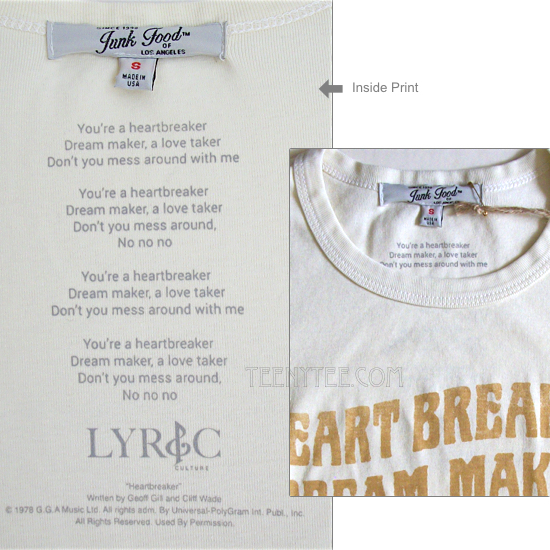 Heart Breaker Lyric Slim Rib Crew T-shirt / 100% cotton rib. 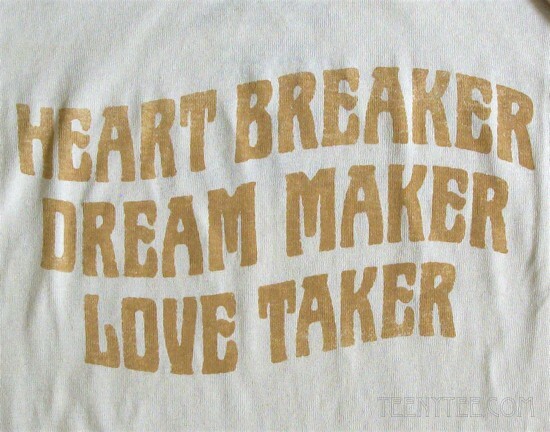 Here we introduce 1979 Pat Benatar smash hit, Heartbreaker, the classic rock song lyric. 1 x 1 rib, 30/1's, 100% cotton rib, medium weight super soft stretchy jersey T.
Slim and narrow fitted. Modern and clean feelings. Runs small made as fitted figure. If you don't like fitted figure, please select 1 size larger. The main part Lyric is printed inside (Please see the picture 3). 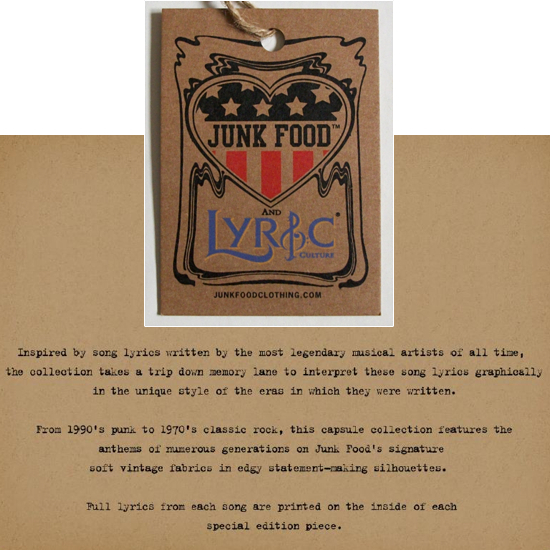 Very new from Junk Food LYRIC collection for Spring 2019. This item runs slim fitted silhouette. Please check the Dimension below. Model's size = Bust 33.5" wearing size S. (fitted but comfortable due to the stretchy cotton rib material). The Length dimension is from the shoulder to the hem.